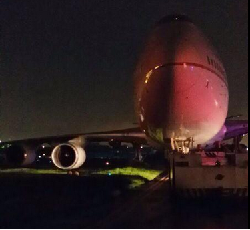 The 747 taxied off the right side of the runway during line-up on runway 24 at Ninoy Aqino Intl Airport, Manila. 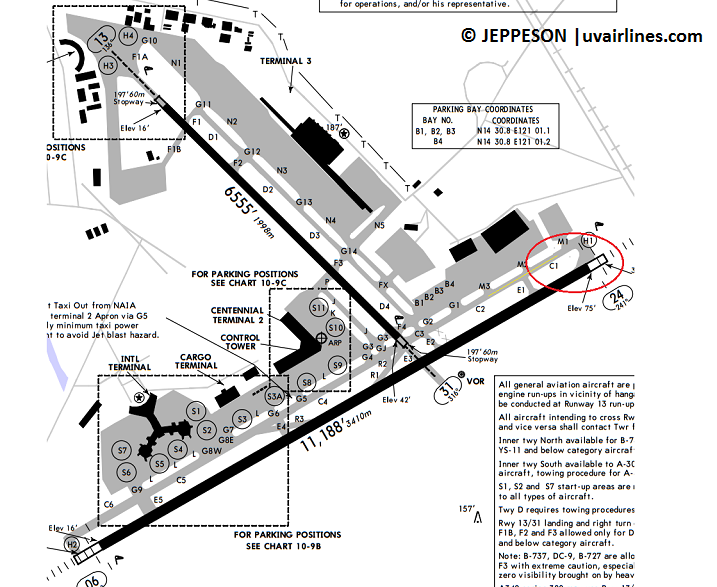 The 747 was cleared for line-up on runway 24 via the parallell taxiway „C1“. During the turn the right outer maingear rolled off the paved surface and became bogged in soft ground. Nobody on board was injured and there is little damage to the 747 if any. 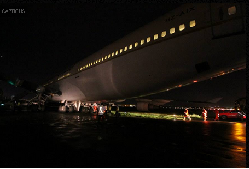 Authorities were forced to deplane passengers and bus them back to Terminal 1. 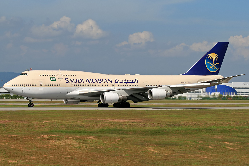 The incident occurred in darkness after a heavy downpour, affecting at least eleven other flights that were scheduled to depart or arrive at the busiest gateway in the country due to the blocked runway. Local aviation authorities have opened an investigation.